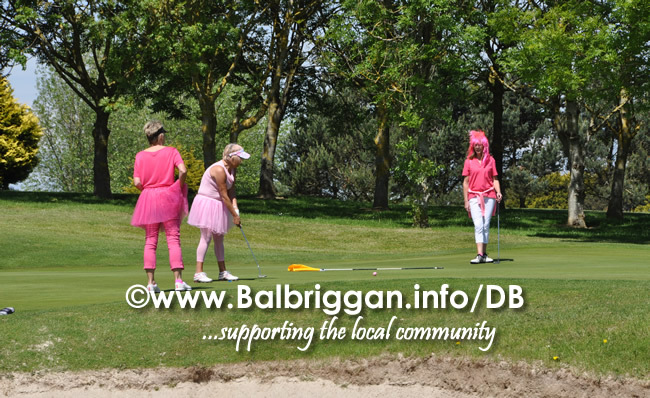 Balbriggan Golf Club will hold a Charity Fundraising Open Event on Tuesday 30th May 2017 in aid of Breast Cancer Research (formerly NBCRI). The format for the Ladies & Mens Open will be a team event with fantastic prizes on the day including prizes for “Best dressed in Pink” If previous years are anything to go by the sights will be amazing (and thats just the men !). If you would like any further information for this Fundraising Event please contact Balbriggan Golf Club on 018412229 or balbriggangolfclub@eircom.net.